LOS ANGELES -- Hyundai Motor America has dropped a policy requiring that some warranty coverage disputes between customers and the factory be settled through arbitration. Until Friday, Hyundai included the clause in its new-vehicle warranty contract, which also gave customers the ability to opt out of the arbitration clause within 90 days of a new-vehicle purchase. A report about the arbitration clause appeared in The New York Times on Friday. Shortly after the article was published, Hyundai issued a statement saying the policy would be dropped. The arbitration policy, in place since 2006, began as way to protect Hyundai against frivolous lawsuits, Hyundai spokesman Jim Trainor said. Proponents of binding arbitration clauses in contracts -- common fixtures in everything from mobile phone plans to credit card agreements to medical insurance policies -- say arbitration is a faster, less expensive alternative to litigation for settling disputes. Critics say the practice limits a consumer’s options in pursuing a grievance with a company. The clauses typically require consumers to waive their right to take a company to court and instead settle grievances through a process overseen by private firms hired by the company. 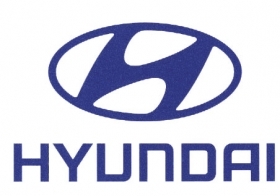 Hyundai has used arbitration to settle warranty disputes about 10 times since 2006, Trainor said, adding that arbitration has never been used to handle disputes involving product liability or personal-injury claims.